This War of Mine: The Little Ones is ranked in the 76th percentile of games scored on OpenCritic. This is a gloriously mature adventure that is well worth liberating from retail captivity. For those looking for a unique and unexplored side to war in a slow, gruelingly unforgiving setting, this game is perfect. It will take several tries to get it right, but the truth behind it is there really is no "right" way to survive in war. An interactive discussion of the darkled human spirit. A relentlessly savage take on survival that puts players in control of the fleshy collateral damage that other war games merely gloss over, This War of Mine is a bleak, grim and ruthlessly entertaining affair quite unlike any other. 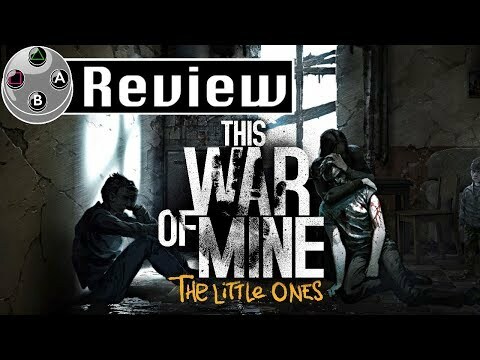 It's depressing and filled with tough decisions to make, but This War of Mine The Little Ones is one of those games that you have to play. This War Of Mine: The Little Ones is more than a game, and can be considered one of the most effective anti-war tools ever created. This is not a game you play for fun or to unwind, and the addition of children for the console release makes it even more poignant, as the realisation dawns that all over the world people are living through these hellish conditions. This War of Mine: The Little Ones doesn't just drive home how desperate people get in times of war, but also makes you take note of how lucky so many of us are to live in a more stable place. This War of Mine: The Little Ones throws you into a beautiful and compelling hell. Experiencing war as a group of civilians whose lives rest in your hands with only your conscience to guide you is a refreshing change of pace from pretty much any other game out there. This is brilliant mix of harrowing survival interspersed with moments of joy. Having fun really isn't the point here: this is a game that will challenge anyone desensitised to the real sufferings of war – and that's a bold move. This War of Mine: The Littles ones is a powerful, affecting game that covers an aspect of warfare not typically touched by the medium. Telling the stories of normal civilians caught in the middle of a war, it asks: what you would do to survive? The disturbing answer is: anything you have to. This War of Mine: The Little Ones adds more to the game that makes it both wholeheartedly enjoyable and deeply distressing. Its survival mechanics are impressively weighted, and the events throughout the war are harrowing. This feels like a game everyone should experience for themselves. This War of Mine is both thought provoking and deals with its serious subject matter in a mature and responsible way. Alongside that it is a fine survival game in a genre that has become cluttered, stagnant and derivative. With solid mechanics and subtle story ques that give you a framework to conjure up your own unique narrative, it is a very compelling experience with no real equal out there. This is a game that when you experience it it will stay with you for a long time and will in some ways change your outlook on war and conflict without being preachy or overbearing. This is the kind of game that every gamer should experience at least once. As This War of Mine enters the lives of console gamers, we should rejoice that this experience is allowed to reach an even greater audience. It's a game with something to say while providing an emotional experience to the player. It's an unforgettable experience, and a great example of how games can confront some of the world's most serious subjects without trivialising them. The game does an amazing job of making you care about everything that's happened. This compelling exploration of war's human cost is also a tense strategy game, with kids giving it real heart. Proof you can make an engrossing game, no matter how bleak the subject. "This War Of Mine: The Little Ones is a sad and tragic story of one group's survival amidst conflict, portrayed brilliantly by the silent but powerful characters that help bring the game to life". If you have played This War of Mine before then The Little Ones probably doesn't offer enough to go back to it. If, however, this is your first opportunity to play the game, it's an experience I would recommend considering. It's a surprisingly addictive strategy game, despite its morbid setting, and it's one that has a fair bit of replayability. It's rare that games deal with the non-combat side of war, and I can't think of many that do it as effectively as This War of Mine: The Little Ones. This War of Mine: The Little Ones is not a happy game, or even a particularly enjoyable one. It's a painful, gruelling experience that really illustrates the horrors, choices, and atrocities present in war. It's not "fun" by any standard that is usually associated with playing a game. What 11 Bit Studios has done here, is create a masterful experience that lets players share, in a very small way, what it is like to live in a country torn apart by war. While it might be hard to think of This War of Mine in the same sense people think of other titles based on the subject of war, it might just paint the most vivid, terrible picture about what conflict does to those embroiled within it. It's a painful experience, but it's one that is ultimately worth having. This War of Mine: The Little Ones forces you to make tough decisions throughout and the real consequences from these actions are seen in the game. Whether you choose to steal from the hospital, an old couple on medication, or a homeless man's squat, you are made to feel guilty. Consequently, you feel good for helping out a stranger. Keeping track of all your supplies and having enough of everything to keep your people alive is not an easy feat, and it feels like the first story that you are given is a little too hard. The ability to create your own scenario is a great addition and it allows you to tweak the game to your own survival ability. Whilst the days can get a little repetitive and boring if you have to catch up on sleep and not much else, the game challenges you, your morals and your survival instincts against the backdrop of the serious subject of war. 11 bit has made an even more compelling war drama with 'This War of Mine: The Little Ones'. The controller is a bit rusty, but don't let that stop you from experiencing one of the most compelling stories in this generation. Coming to the Xbox One 'This War of Mine' is more accessible than ever, and the addition of kids makes it even more bittersweet. This War of Mine is strangely compelling, pulling you back day after day despite the unrelenting misery of the situations you find yourself in. Inspired by the real events of the Siege of Sarajevo during the Bosnian War in the nineteen-nineties, you know right off the bat that this is going to be a somewhat harrowing experience. When I step back and think about This War of Mine: The Little Ones, I am left with thoughts of a profound and meaningful experience, in spite of its limiting structure, and one that will make you feel like you never had before. This War of Mine: The Little Ones provides an essential illustration of what is the inescapable fact of our existence: we are all human. But ultimately I've invested so much time in this game that my few niggles are also rendered mute. 11-bit Studios has created an exploration of the desperateness of wartime human experience and made it into something you can't help but find compelling. The addition of children into the original mix is a way of enhancing that, making the reality all the more visceral. This War of Mine: The Little Ones is a fantastically atmospheric, emotional, and compelling game that constantly makes you doubt what you're doing, in a way that feels entirely natural as part of the experience. You have to weigh up every decision in order to keep your crew safe from harm and that coupled with the strong desire to play through just one more raid to see how things turn out, means that you're more than likely to get your money's worth here. Great stuff. A game like no other, and even though it can be hard to play at times, it still offers a unique and rewarding challenge. The endurance of This War of Mine: The Little Ones is limited and is certainly not something you'll want to play several times over and that's perfectly fine. It's a hard-hitting and unsettling look at the coldness and cruelty of the human condition and how the removal of social constructs unravels people so quickly that'll haunt you for a long time to come. Its premise is so bold it can often outshine its delivery, the idea it's conveying never feeling fully realized beyond the brief dips in pace. It's the most real feeling simulator of war out there and that in itself makes This War of Mine: The Little Ones quite terrifying and truly memorable. While the new console release of This War of Mine: The Little Ones does not really bring anything new to the table from the most updated PC version, the surprisingly emotional situations and impressive scavenging and survival system is worth checking out for anybody that missed out on the original release. The war comes to consoles, but might have lost something along the way. This War of Mine: the Little Ones is pretty fully featured. 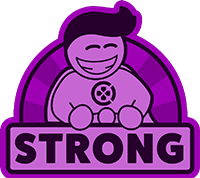 While not for everyone, it offers a decent experience of survival, base building, and time/resource management. The combat can be weak, and the story or at least the one it's trying to convey is weak. Still, for the fans of survival games like Don't Starve, there's something to be had here. A daring, and largely successful, attempt to show the civilian side of war, that succeeds as an interactive drama even when it occasionally fails as a game. This War of Mine: The Little Ones is a fun, yet difficult survival game that fans of Don't Starve, and the like, will most certainly enjoy. It takes a chance in telling the story of war from a rarely seen civilian angle, but ultimately doesn't deliver an engaging narrative. The addition of children doesn't add much to the original 2014 release besides a few new items to craft. And the potential for a great and addictive survival experience is hindered by a wonky combat system. It is disappointing to exert such caution when recommending This War of Mine:The Little Ones, especially to people who may not have a worthwhile gaming PC (low spec requirements notwithstanding), but the limitations of the port's controls compel me to do so. For what it's worth, this is still a good game, and the exclusive addition of the children survivors makes it a more compelling experience at that. But really, if you can play the PC edition instead, it's easy to sacrifice all those kids for a much smoother experience. Saying "You should play this game, but don't expect to enjoy it" makes it sound like homework. It's homework of the human spirit that I think will enrich your life and broaden your horizons, but still homework. It's up to you if that seems like something you want to take on. The Little Ones is light on actual children but heavy on despair. An emotional insight into the impacts of war on civilians, but not a substantial expansion on the original release. It's interested only in presenting a near-pornographic level of human despair in a warped attempt at edifying players.